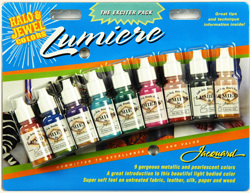 Lumiere: These gorgeous metallic and pearlescent paints brush on like butter, slightly level once they are down, and stay put as they are designed not to spread. 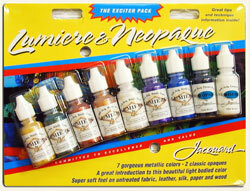 This allows for smooth application on soft of flexible surfaces like fabrics or uneven textures like Styrofoam. 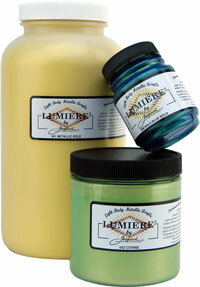 This paint remains flexible and soft. International postage rates for packages has changed. I will contact you with the additional charges.